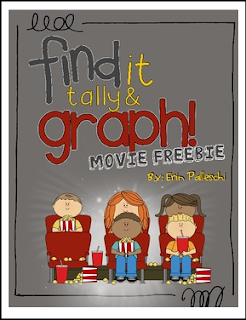 Get your kids tallying and graphing with this fun movie themed FREEBIE! Check out my other "Find it, Tally & Graph" activities which include all of the above PLUS a data analysis sheet (problem solving, addition & subtraction questions). This makes a great math center activity and is a perfect for end of the year review!